The final placement process for the first PGPX Batch 2013-14 of Indian Institute of Management, Udaipur was successfully completed. The unique Dual Degree Program in Global Supply Chain Management with general management orientation and emphasis on international exposure, is ideal for mid-level managers looking at making a career in the global supply chain industry. Even though this was the first batch of this unique program, students were able to bag excellent opportunities according to their interest. The spectrum of recruiters covered sectors such as Management Consulting, Information Technology, Analytics and Logistics offering a wide variety of roles spanning across Consulting, Operations, Analytics, Government Advisory, Product Management, and Strategy. 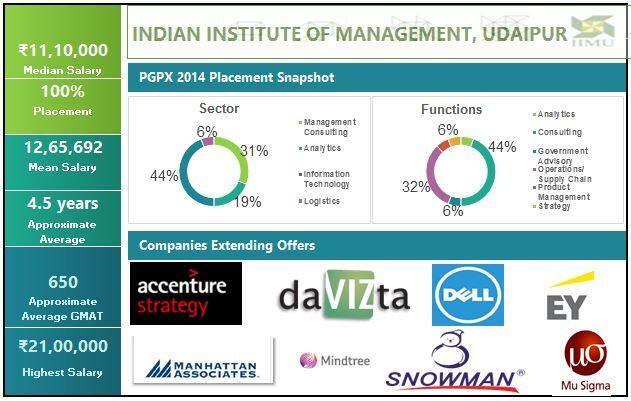 The placement process saw interest from recruiters such as Accenture Strategy, daVIZta India Pvt. Ltd., Dell International Services, Ernst & Young, Manhattan Associates, MindTree Ltd., Mu Sigma Business Solutions, Snowman Logistics etc. 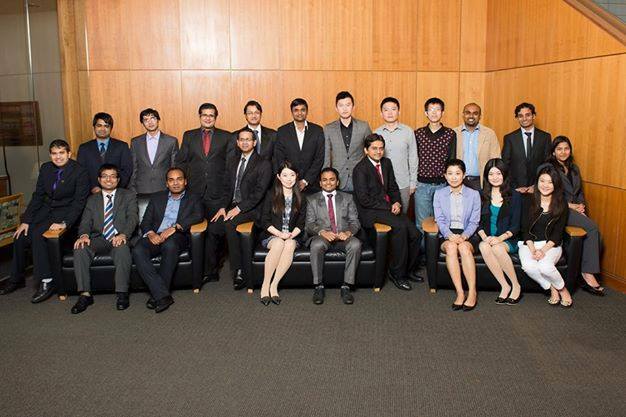 Manhattan Associates emerged as the largest recruiter, hiring a total of 5 students from campus. 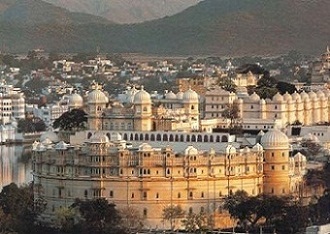 The highest domestic offer was made by daVIZta India Pvt. Ltd.
13 students out of the batch of 16 students sought placement though the institute. The various profiles offered were Senior Consultant, Consultant, Manager and Business Analyst etc.